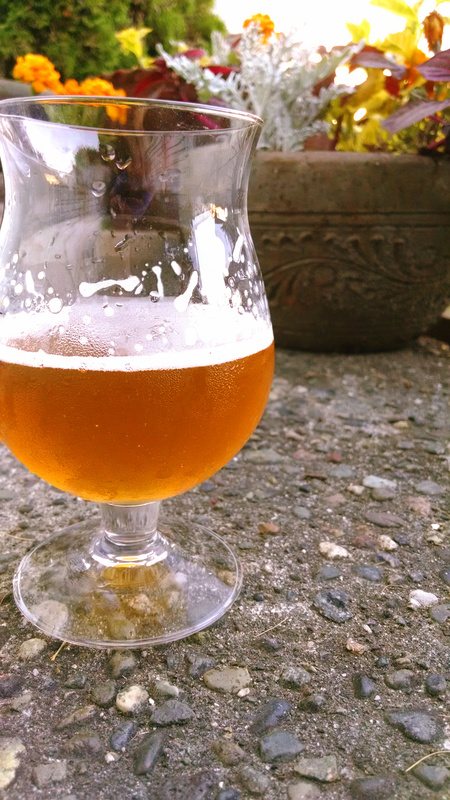 This is a pretty straight forward, Azacca heavy, hoppy pale that I added foraged spruce tips to post-boil. The hops schedule resembles those of my recent “juice”, or New England, or hazy pales/IPAs, but the grain bill forgoes the flaked grain adjuncts. 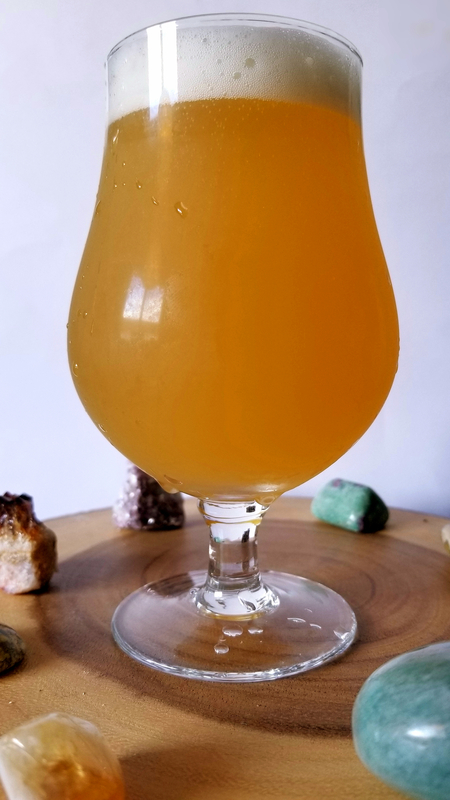 As with most of my recent quick turn-around beers, this brew underwent dry hopping (and in this case the addition of the spruce tips) in primary. I then cold crashed the beer in a chest freezer before kegging. Unfiltered, pale straw color in appearance (looks more orange in photos), but not overly hazy. Moderate white head stand that dissipates. No lacing. Spruce is dominant on the nose with undertones of grapefruit, mango, and Fruitstripes gum. Spicy-Earthy spruce up front on the palate, gives way to juicy guava-like tropical notes. Mandarin orange pith and resinous pine notes meld on the bitter, off-dry, lingering finish. 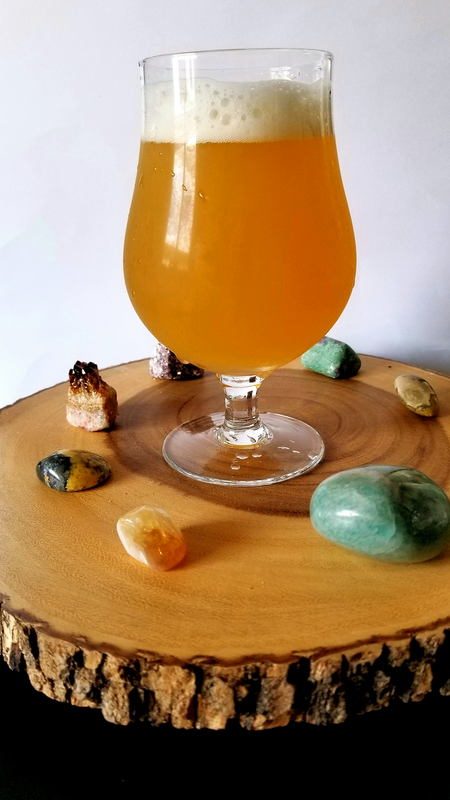 The second of our beers to include spruce tips, Spruce Campbell, is a nod to our favorite Bruce (Campbell’s cheesiness is intentional, especially by the time of Army of Darkness, Springsteen’s isn’t — though we love him as well), thus in its epic nature it did not include any hops. Instead of hops, Gregory and I decided to make spruce additions throughout the boil, using two different species of spruce tips that Eric the Barter/Forager foraged for us. 1.00 tsp Yeast Nutrient @ 15 min. Spruce Tips — 2.0 oz. @ 60 min. 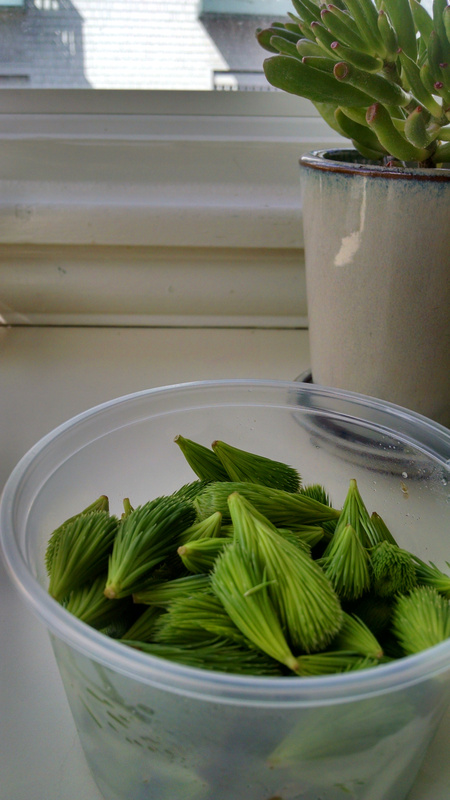 Spruce Tips — 4.0 oz. @ 30 min. Spruce Tips — 5.0 oz. @ 15 min. Spruce Tips — 5.0 oz. @ 1 min. 05.19.15 — Made a 1L starter with 1 Wyeast 3711 packet. Brewtoad suggests 236 billion cells to ferment 5.5 gal. Cold crashed and decanted morning of brew day. An explosion of Belgian yeast esters and tropical fruitiness on the nose with a hint of banana in the background. Palate leans on the sweet side at the start, despite the Belgian candi sugar, with massive fruit notes reminiscent of Fruit Stripes bubble gum and blueberries. Some Belgian yeast spiciness enters the picture and helps to dry out the finish which lingers with notes of ripe mango and a slight boozy warmth. 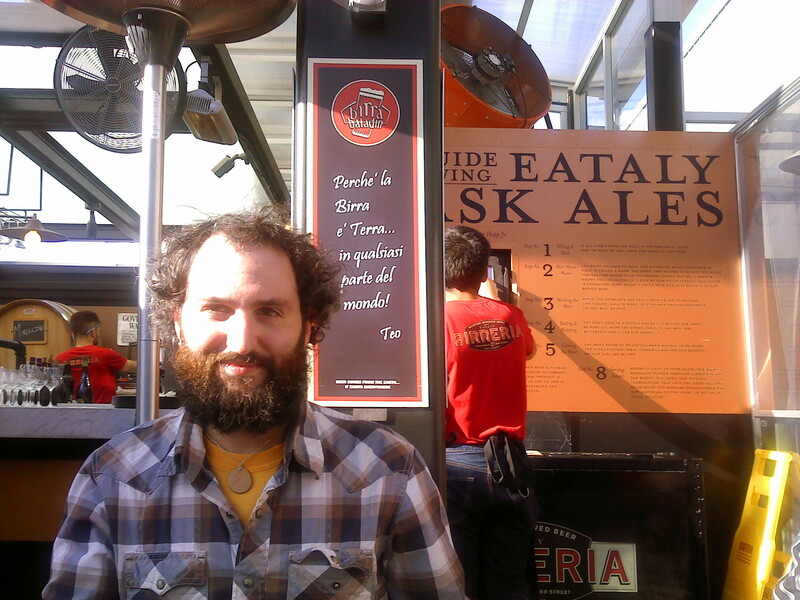 For this beer I again enlisted the help of Eric The Barter (who may also be referred to as Eric The Forager) to scare up some fresh Pacific Northwest spruce tips. Not only did he come through for this beer, but Eric found enough spruce for Gregory and I to brew a second spruce tip beer in the near future (we intend to make the second one without any hops). For this beer though, I decided on a light pale ale frame with some flaked oats for body and some crystal 120 for color adjustment. I decided to focus on Simcoe hops late in the boil and as a dry-hop for their notes of pine, citrus, and earth, which satisfyingly compliments the spruce. According to Brewtoad I should have hit a target original gravity of 1.053 for a beer of about 5.0% ABV; however, I only hit 1.034 and finished with a beer of about 4.1% ABV. This isn’t the first time I’ve missed my gravity using Brewtoad’s estimates for recipes with flaked grains; I think they might anticipate more fermentables from these types of grains than what is actually produced because I usually hit or overshoot my gravities otherwise. That being the case, I now have a delicious session ale with spruce tips! 0.50 oz. Chinook (Pellet, 12.0% AA) @ 90 min (first wort). 0.50 oz. Chinook (Pellet, 12.0% AA) @ 20 min. 1.00 oz. Simcoe (Pellet, 13.0% AA) @ 0 min. 1.00 oz. 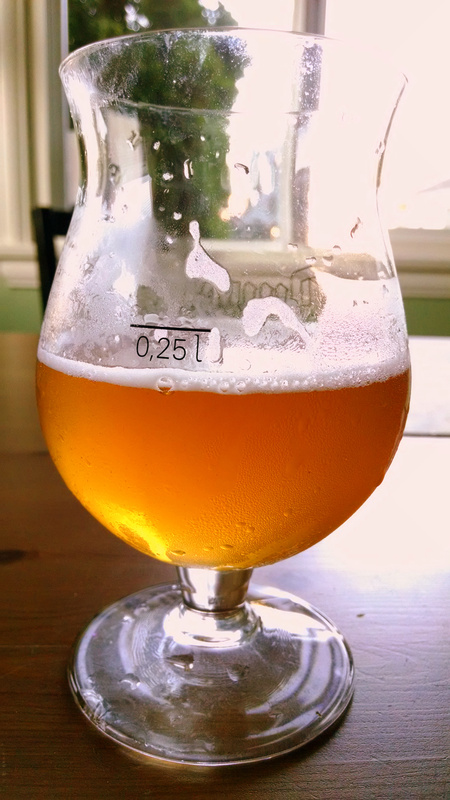 Simcoe (Pellet, 13.0% AA) @ 5 days (dry hop). 6.00 oz. Spruce Tips @ 15 min. 2.00 oz. Spruce Tips @ 5 days (dry hop). 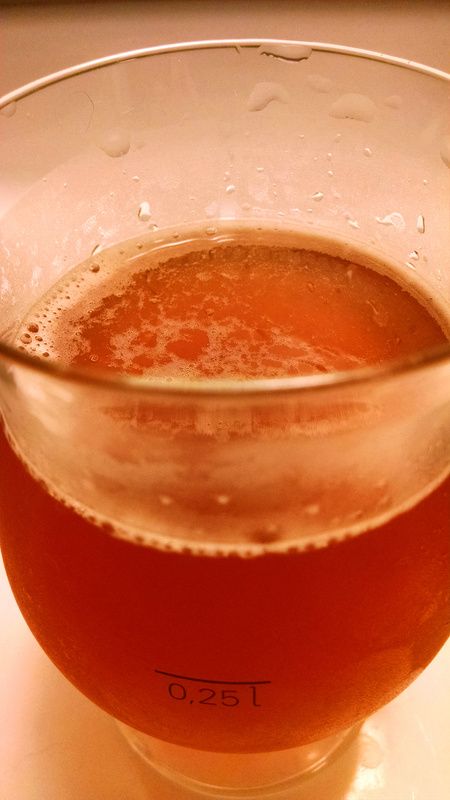 This beer turned out great; light and crisp with body enough to seem a bit stronger ABV-wise. The earthy, fruity spruce melds perfectly with the delicious Simcoe hops. I’d make this one again.